A weekend of dancing with two fabulous Big Bands on our 40' x 72' hardwood dance floor. 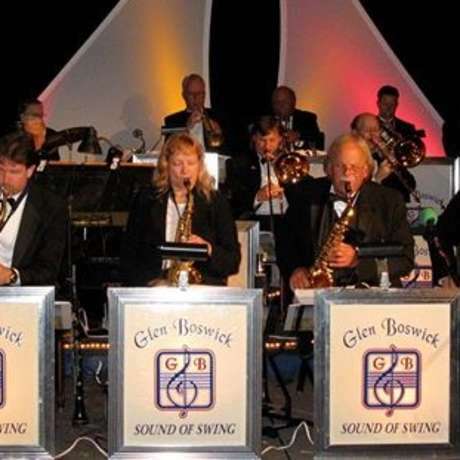 Glen Boswick And The Sound Of Swing perform for your dancing pleasure on Friday, June 14th. Joe Enroughty And His Royal Virginians perform for your dancing pleasure on Saturday, June 15th. Free dance lesson with Gwendolyn Glenn of "Dance In Class" each evening beginning at 7:30 PM. Doors open at 6 PM. Dinner served at 6: 30 PM. FREE Dance Lesson at 7:30 PM. Bands begin at 8 PM. Dancing only tickets and student discounts also available. See web site for complete details.